A Brecon Beacons walk exploring the Vale of Ewyas in the Black Mountains. 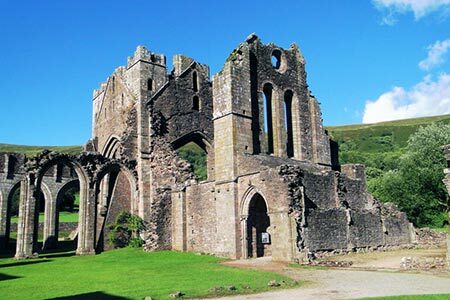 The outward route follows lanes, tracks and paths along the valley floor to reach Llanthony Priory. The return is along mid-level paths across rougher terrain in Open Country offering excellent views of the valley and surrounding ridges. Ideal for days when the tops are shrouded in clouds. A GPX File is available for download (see walk description).